Panels are continuing groups that respond to questioning from time to time. A panel can be made up of persons, households or business firms. A panel may exist, for questioning purposes, for as little as a week or as long as a year or more. The panel may be set up by telephone, postal or personal interview. Some research firms offer the use of their ongoing panels to provide syndicated information available to all subscribers, while other research companies make their panels available for custom use. The user can specify the demographics or even require specific category or brand users. Syndicated panel services measure such things as buying volume by brand and television viewing and use consumer diaries or electronic devices to obtain the desired data. 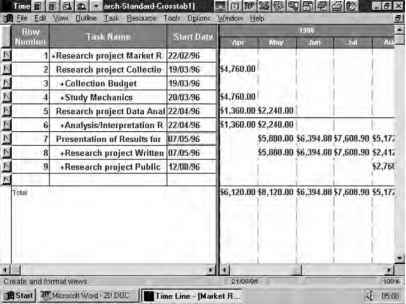 The consumer diary is a form on which the consumer records their purchases or some other form of behaviour. An electronic device attached to the television set may monitor television tuning. With retail store panels, the data-collection method may be through the use of either scanners or physical audits. According to the first Cable Audience Measurement Survey, published this week, the main cable-exclusive channels reach over half of all people. Moreover, research shows that more TV is watched in cable homes than non-cable households. In total, cable and satellite channels achieve a combined average weekly reach of 93.6% of all cable home individuals. Target audiences are relatively well satisfied with cable-exclusive channels according to research findings. The Box achieves a higher viewing share than MTV among 10-15 year olds: 1.8% compared with 1.5% for MTV and 0.8% for VH-1. The survey also shows that cable householders make extensive use of technology: 34% have a games console and 29% have a computer compared with the national average of 24%, according to TGI. The findings are based on diary research commissioned by the Cable Research Group. Research was conducted in January among 997 adults and 315 children by research company RSMB. 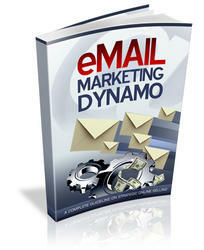 Are You Ready To Become An Email Marketing Dynamo? If Your Not Concentrating On List Building, Your Missing The Point. Are you ready to make millions out of your website? You have heard it before, YOU must concentrate your efforts in building a profitable list. It goes without saying, that having a responsive list is like printing money on demand.